There’s a clear shift underway in the Canadian housing market. After years of borrowing and runaway price inflation, regulators seem content to shift course, at least for the time being. RBC does not expect mortgage loan growth to turn negative, noting that loan growth has only turned negative once, and that was in the early 1980’s. During which Canadian unemployment rose from 7% to 13%. Following recent regulations, slowing home sales have become a nationwide phenomenon. 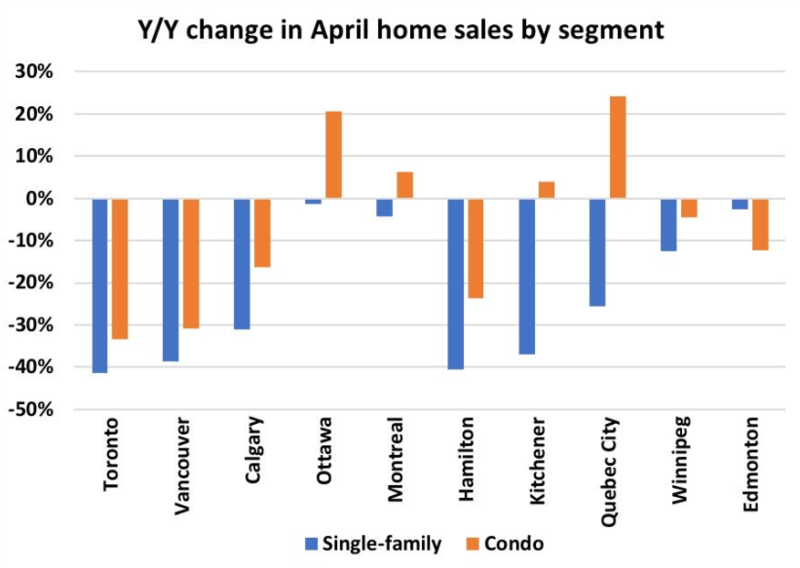 Other than condo sales in Ottawa and Quebec City, home sales declined year over year across all major cities in the month of April. OSFI’s mortgage stress test is reflecting in more than just housing sales. 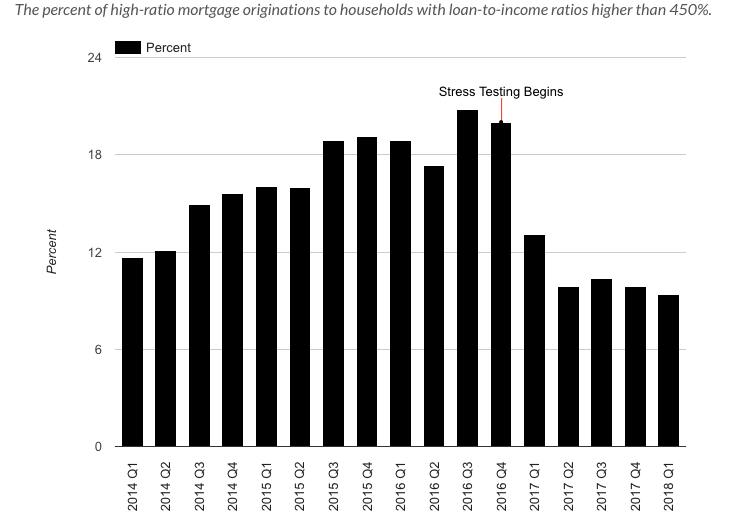 High-ratio borrowers, which are considered borrowers with a loan to income above 450% and a downpayment of less than 20%, have witnessed originations cut by 54.98% since stress testing commenced. While fewer and fewer mortgages are being dished out, RBC remains most concerned about the possibility of rising unemployment. With the United States Federal Reserve recently raising rates and forecasting another two more hikes later this year it could leave the Bank of Canada in a rather precarious position. Trying to hike rates alongside their US counterparts will weigh heavily on over indebted households, but leaving rates on hold could also hit the loonie hard. Something which RBC summarizes as rather important to watch moving forward.